Stampin with Mel: Stampin' Up! 's Stitched Shapes Framelits available for purchase from today! Stampin' Up! 's Stitched Shapes Framelits available for purchase from today! I am so excited to tell you that Stampin' Up! 's new Stitched Shapes Framelits are available for purchase between the 1st and 30th of November 2016 (ahead of their official release in the 2017/2018 Annual Catalogue)! Stitched detail really adds a finishing touch to your paper crafting projects not to mention a look that has stood the test of time! That is not all! The coordinating stamp sets will be on promotion - 25% off per set! To have a closer look you can go HERE! Remember to use the Hostess Code for the month of November 2016 and a gift will come your way the end of this month! Well I am off to order my Stitched Framelits! 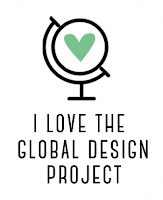 I will catch you soon with my Global Design Project challenge for the week! Online Extravaganza! You don't want to miss this!